I was playing around with substrates like a month or 2 back, and I had some extra RGS already out, and decided to try something. 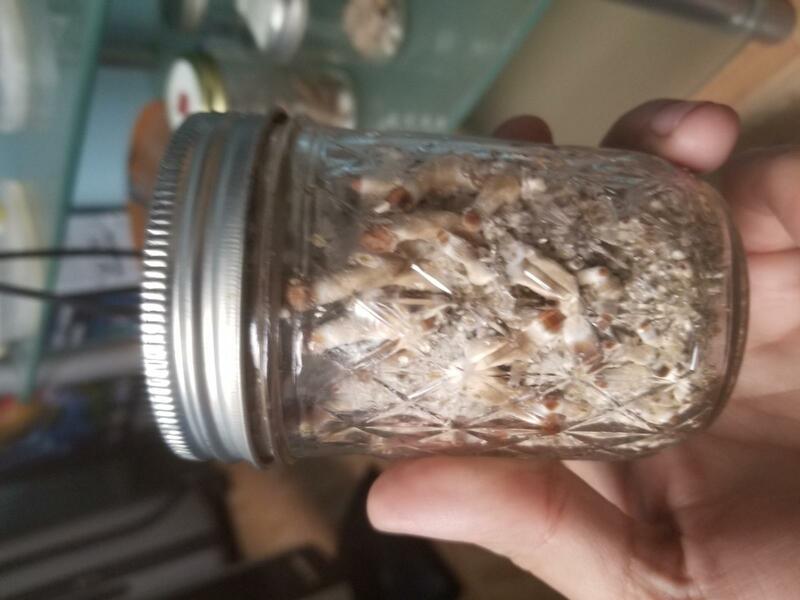 I put about a 50/50 mix of RGS and verm into 2 half pints, PCed em after I added the appropriate amount of hydration, then knocked them up with a leftover 2ml each of PESA, since I had another unused syringe of the same species. 3 weeks later, they're colonized. Another 10 days, theyre pinning, another 6 they both produced flushes rivaling any PF tek invitro grow. Sorry I didnt get pics at the time, but I dunked 1 and will see if I get a 2nd flush. The other I destroyed picking the fruits bc there were so many. My question... has anyone tried fruiting something similar to this cake style? What were the results? Any suggestions to make the cakes more solid? More or less verm? Since RGS is so small, do you think anyone can have success using this method without a PC? 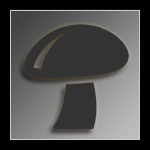 Even if they have to grow invitro and cake fruiting inst possible, it would still be another way for people with no PC to grow. 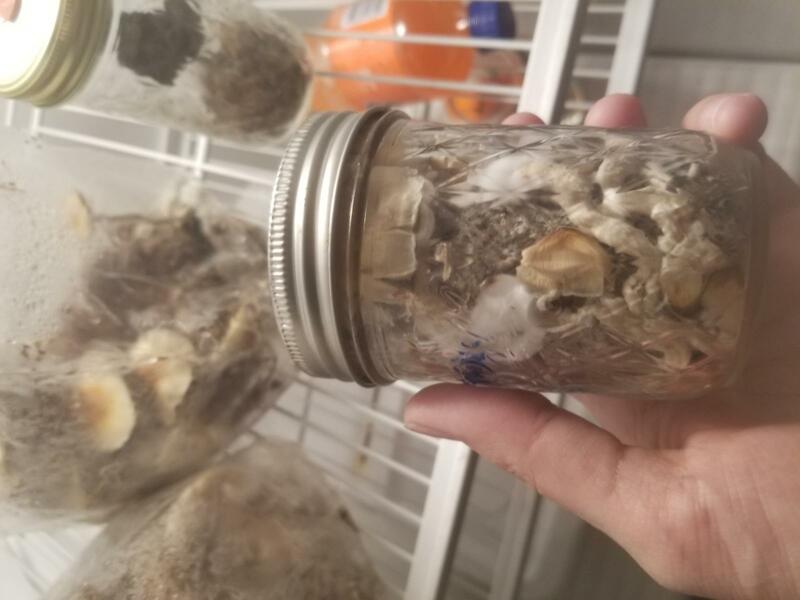 not too shocking that RGS works for cubensis since mexicana fruit from it. i would try throwing around half of the RGS in a grinder and make some flour or throw all of the RGS and make a chunky flour and the structure should improve. i never suggest methods with out a PC. that being said with possible flawed logic imo i have seen the the best results from no PC with things like Rice and Oats be most successful with out a PC is how "clean" they are. food grade rice and oats bought at grocery store vs rice and oats bought in bulk and rice and oats bought at a feed store ect. All of it is contaminated in some way it is just of what and how much. RGS is a agricultural product and dusty as hell. Id put it in the low success rate category for going with out a PC. BUT hey...try it and lets prove it right or wrong. it would be nice to find more things you can do with out a PC. Though as we all know the investment in a PC has so many more advantages. Wow, thank you for your input. You seem very knowledgeable. Just FYI I use a PC lol. 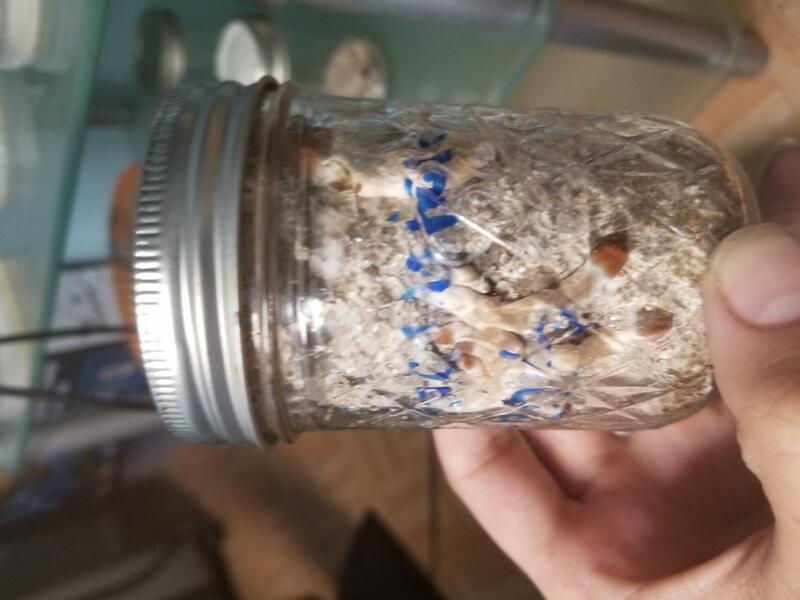 The idea popped in my head as I was harvesting said jars, and noticed how small the RGS was, and how nice the consistency was for inducing pinning. I thought that maybe, just maybe, the small size of the RGS and the fact it isn't a true grain per se would allow for the inside to reach high temps. I was just trying to help out those folk who dont have a PC. Give them 1 more option other than BRF. I'm not going to experiment with the steaming, if anyone else wants to, let me know how it went. I will, however, try different ratios of seed and vermiculite to see how well these will do as cakes. I will also try grinding some or all of the RGS. I have many projects going on, it will be next week probably. I feel like someone else has had to try this before. If anyone can find a similar idea out there please post the links. The last pic is from last night. That cluster has since grown. Remember this is 2nd flush, too. Sorry, I forgot to post this. This produced great for the 2nd flush, here is a pic, but I didn't harvest. I put it in the fridge to stall the growth and have freshness when I want. I do this with bags, too. They stay exactly now they looked when you put them in the fridge. These bags have been in the fridge for over a month, just waiting for a day when I'm in the mood for freshies, then I will harvest. 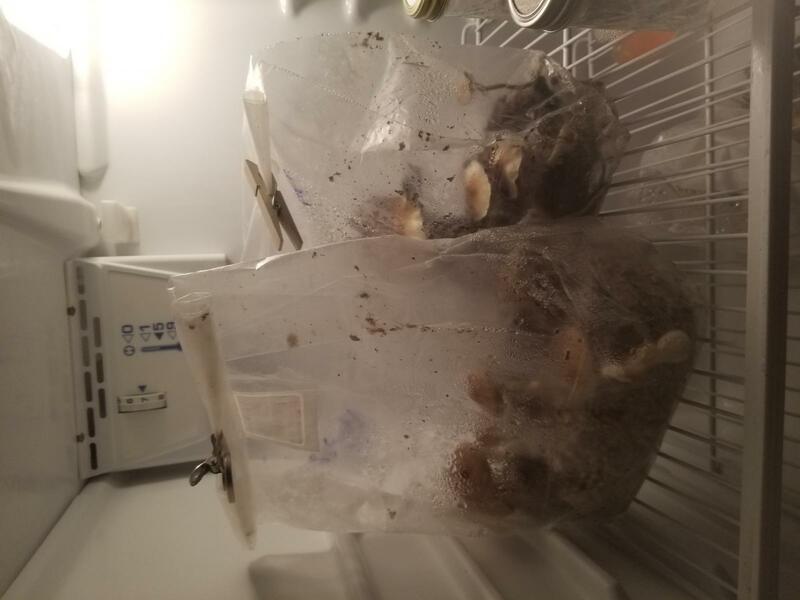 According to the archives, they should keep fresh for months in the fridge if they aren't picked, and still attached to the substrate. 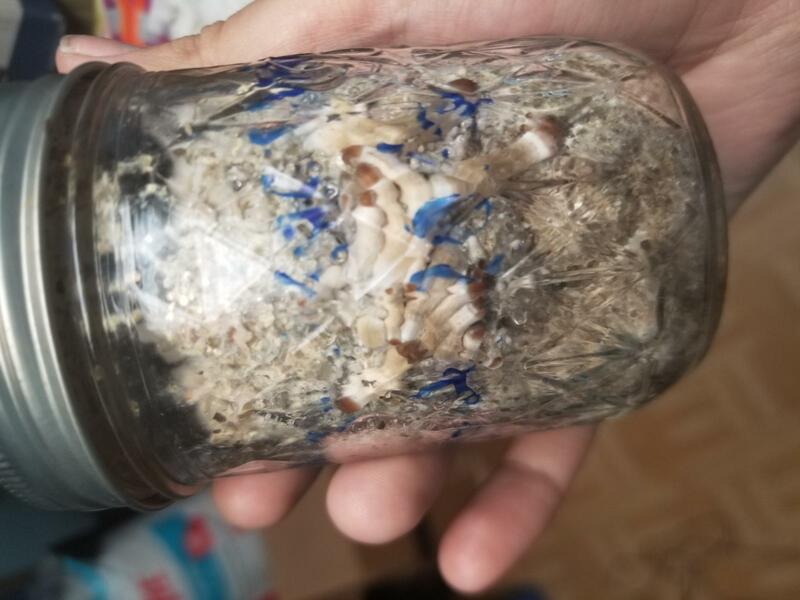 It's a great way to store fresh mushrooms.